Mr. Charles L. Rigney, Sr., 82, of Waynesboro, MS passed from this life Friday, March 29, 2019 at Regency Hospital in Meridian, MS. He was born in Chicora, MS on Friday, June 5, 1936 to Charlie and Daisy Rigney. He was a member of Buckatunna Free Will Baptist Church and the Chicora Masonic Lodge #538. He was retired from Rowan Drilling Company as a tool pusher. Mr. Rigney is preceded in death by his parents, Charlie and Daisy Rigney; 2 sons, David Rigney, John Rigney; 2 brothers, Charles Rigney, Landis Rigney; 3 sisters, Elizabeth Marcrum, Daisy McCary, Marion Cooper. He is survived by his loving wife of 36 years, Maggie Rigney, Waynesboro, MS; 2 sons, Charles Rigney, Jr. (Melissa), Mark Rigney (Tanya) both of Waynesboro, MS; 3 daughters, Beverly Rigney (Tony), Waynesboro, MS, Debbie Walley (Ken), Jackson, MS, Lauren Bonner (Frank), Waynesboro, MS; brother, Tommy Rigney, Waynesboro, MS; sister, Mildred Falks, Pascagoula, MS; 12 grandchildren; 20 great grandchildren. 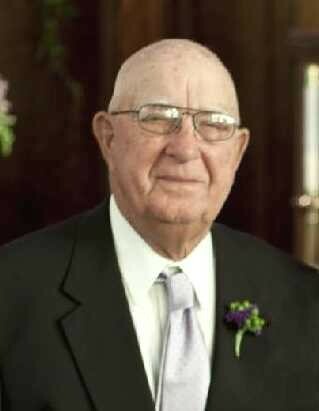 Visitation for Mr. Rigney will be held from 5:00 PM to 9:00 PM, Monday, April 1, 2019 at Buckatunna Free Will Baptist Church, 2236 Buckatunna-Chicora-Clara Road, Buckatunna, MS 39322. Funeral Services will be held at 11:00 AM Tuesday, April 2, 2019 at Buckatunna Free Will Baptist Church in Buckatunna, MS with Rev. Billy Trull and Rev. Cobi Smith officiating. Interment will be in Mt. Pleasant Cemetery in Wayne County, MS.